What does a congregation mean when they describe themselves as spiritually vital? How does a congregation become vital? What is the relationship between vitality and sustainability? Does the answer depend on the faith tradition? This study asked leaders from 10 different faith traditions to answer these questions. We found remarkable similarities across all traditions while also discovering the unique perspectives of each. Their answers illustrate distinct understandings about the way people interact with God and different perspectives of God’s promise of hope for the world. Download this vitality report and explore these answers. 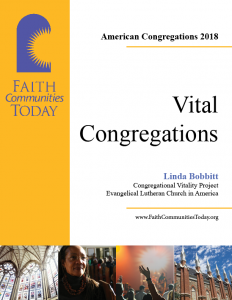 Representatives from several of the participating faith traditions in this vitality study offered reflections on the results through the lens of their respective traditions.